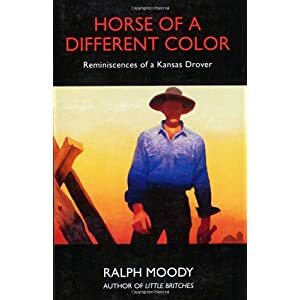 Horse of a Different Color by Ralph Moody is a autobiographical story and is the last in his "Little Britches" series. The entrepreneurial, problem-solving spirit that his father instilled in his before Ralph was 10 shows through in each of the books including this one. He ends up, despite his best efforts, being responsible to a bank for another man's huge debts. How he pays back these debts in just a year is related in this book. The entire "Little Britches" series is a great series to read as a family.